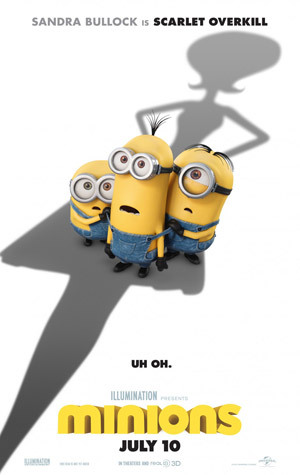 Sandra Bullock and Jon Hamm voice the animated comedy Minions, a prequel to Illumination Entertainment’s ‘Despicable Me’. Check out the movie trailers and posters below. 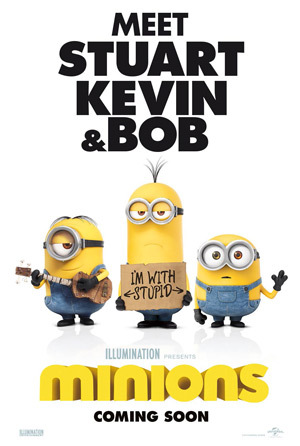 A trio of Minions, Kevin, Stuart and Bob, embark upon a journey that leads them to their next potential master, Scarlet Overkill (Bullock), the world’s first-ever female super-villain. 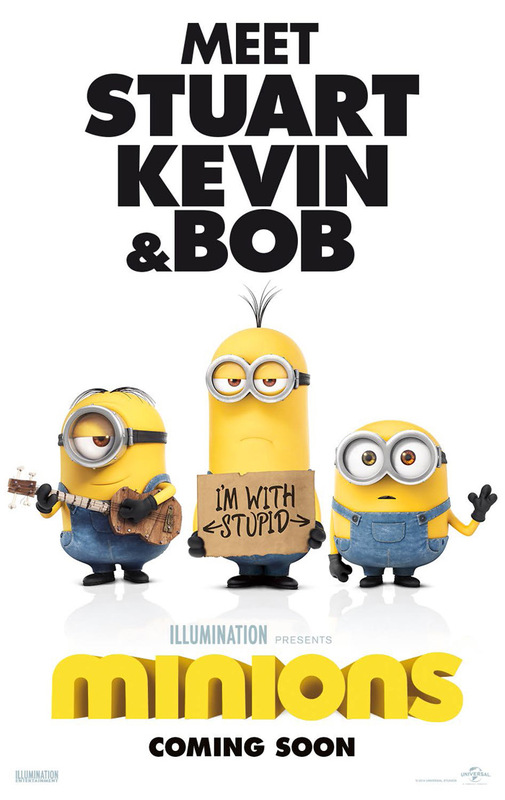 MPAA Rating: PG for action and rude humor. The trio embarks upon a thrilling journey that ultimately leads them to their next potential master, Scarlet Overkill (Sandra Bullock), the world’s first-ever female super-villain. They travel from frigid Antarctica to 1960s New York City, ending in mod London, where they must face their biggest challenge to date: saving all of Minionkind…from annihilation.